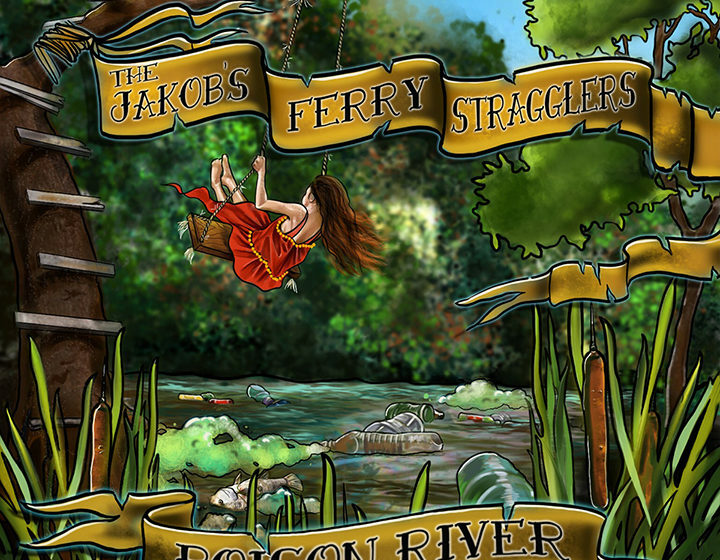 Officially, the Jakobs Ferry Stragglers 2018 release “Poison RIver” is the band’s third album. In a lot of ways, though, it feels like a debut effort. What does change on this release, and for the better, is the makeup of the rest of the band. 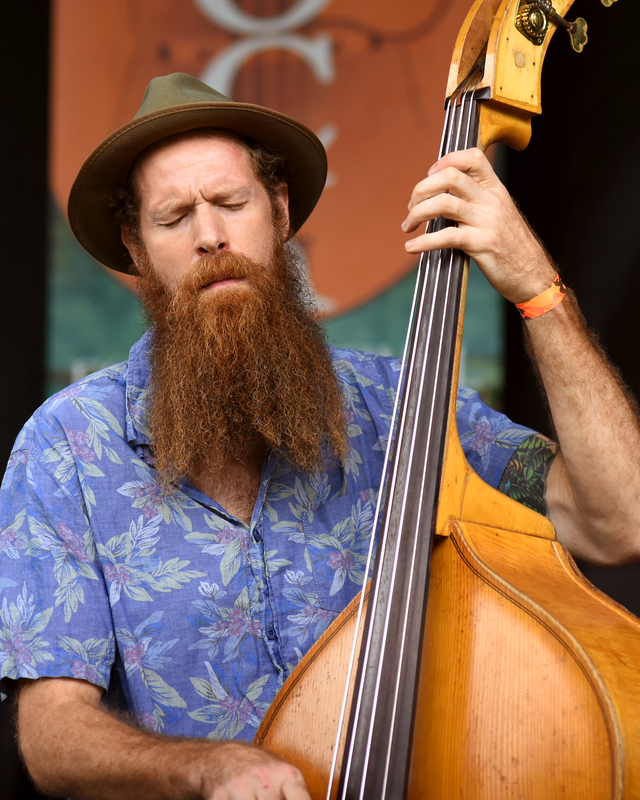 With the addition of multi-instrumentalist Ray Bruckman, who plays mostly mandolin on this one, and Evan Bell on bass, the music backing Antol and Eddy’s vocal stylings gets kicked up a notch. 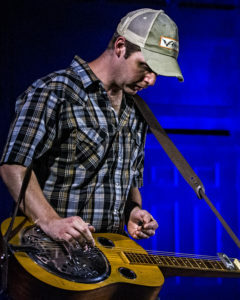 If that was not enough, the album also features the unofficial fifth Straggler, Jody Mosser, on dobro. The result is one of our favorite new CDs of 2018, one that has been in heavy rotation on all our devices since we got it. Most of the songwriting credits go to Antol, with Eddy and Bruckman chipping in with three delicious instrumental numbers. There are also three well chosen covers of songs written by others among the 10 selections on the CD. Perhaps the most interesting of those covers is “When the Redbud Blooms,” a hard driving tale of the optimism symbolized by the rose colored blossoms that appear each spring on the Redbud tree, which is abundant throughout the areas of Appalachia commonly thought of as traditional bluegrass music’s native turf. It is a song the band discovered when the West Virginia gentleman who wrote it, Ron Fletcher, sang it for Eddy when he visited the band’s merchandise table after a show. He’d written it a long time ago, Fletcher told Eddy, but had never found a band to record it. 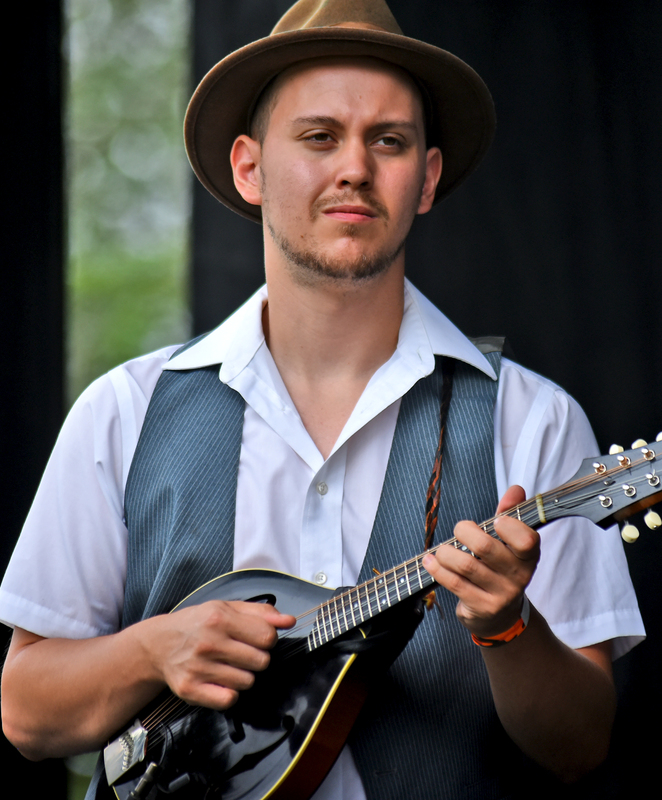 Originally it was a waltz, but Antol reworked the chord structure and turned it into a rollicking, traditional bluegrass number. You get a glimpse of the original concept at the end of the song. That is where they added a segment from a voicemail recording that Fletcher left on Eddy’s phone to help the band learn the tune. It’s an interesting touch, and one that, if you did not know the source of that sample, might lead you to believe this was a remake of a much older, traditional bluegrass tune. The addition of Bruckman to the band’s lineup didn’t just bring a stellar mandolin picker to the mix. His nickname is actually “Fiddlin’ Ray.” But with Eddy already more than capably handling the fiddle duties in the band, Bruckman mostly sticks to mandolin on this album. One exception comes on “Hesper’s Waltz,” an Eddy composition inspired by a friend’s cat, which features Eddy and Bruckman on dual fiddles. Bruckman also plays the fiddle solo on the title cut, a poignant tale of the many challenges and frustrations felt by many Americans living in the southwestern Pennsylvania-West Virginia coal and steel producing areas that have been hard hit by a modernizing economy. Bruckman contributes to the songwriting, too, with “Benezette Blues” and “Don’t Go Across the Ocean,” two instrumental numbers that really showcase the picking prowess of the entire lineup. Sandwiched between the two Bruckman instrumentals are “You Never Even Knew My Name” and “Saint Anne’s Prayer,” two well-chosen covers. Mosser’s soulful dobro highlights the former, which was written by Colorado musician Bill Powers (Sweet Sunny South, Honey Don’t). “Saint Anne’s Prayer,” written by the late Sue Cunningham about a miner trapped in a collapsed coal mine, is a showcase for Eddy’s powerhouse vocals for most of the song before unleashing a burst of “St. Anne’s Reel” near the end. The reel part signifies “either his survival or his death and ascension into heaven,” Antol says. “It’s up to you.” We choose the survival option because the music is way too joyful to signify anything negative. Antol shares the songwriting credit with Eddy on the “Things Take Time,” a song about patient love’s ability to endure that features both Eddy’s vocals, and her soulful fiddling. 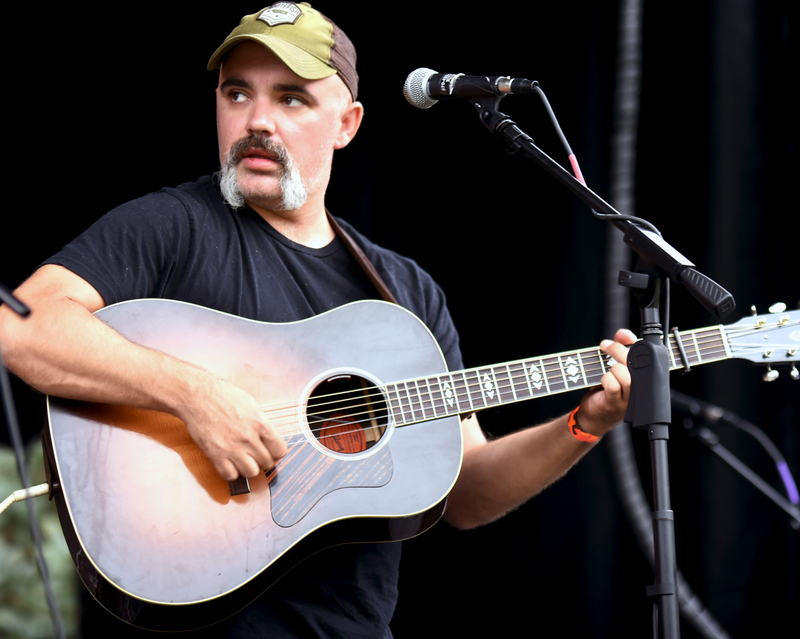 He also is responsible to the album’s two other love songs, “Moonlight Gown,” a Celtic-influenced, symbolism-filled tale of yearning and “Homefront,” which is more about the love and yearning for home. Evan Bell holds down the bass for Jaokbs Ferry Stragglers. CD before it had even been completed. It was an innovative take on the sort of crowd funding many bands are turning to these days, and one that paid off for both sides of the equation..
Those who bought the LP on blind trust were rewarded with one of the best albums to cross our desk this summer. 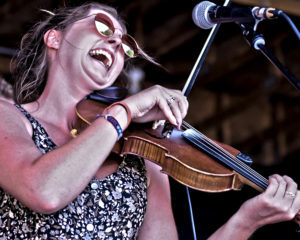 And the band’s efforts helped it secure a spot in the Bluegrass Ramble showcase lineup at the recent annual gathering of the International Bluegrass Music Association. It also has secured Jakobs Ferry Stragglers a spot in the vanguard of emerging artists. If you are the type who likes to discover new music before bands break it big, now is the time for you to check out this album. EDITOR’S NOTE: This story was originally published in the British Bluegrass News — BBN85.